Exciting elevation, devilish dunes, crafty contours - GolfMagic plays Tom Doak's Floridian masterpiece. Opened for play in just 2013, this new kid on the block for world-class golf in Florida is proving all the rage in the golf industry right now - and after just spending two days there while attending the 2018 PGA Show recently, we now understand exactly why. 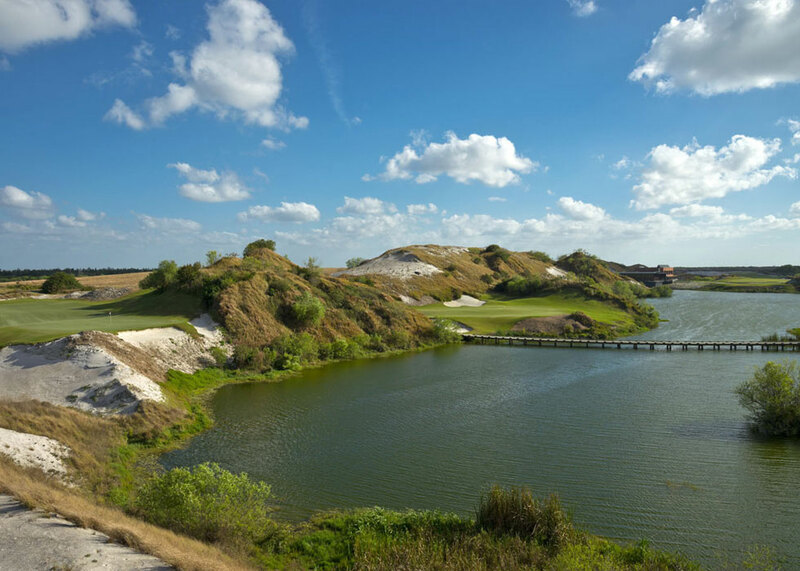 While Gil Hanse's fresh Streamsong Black course takes many of the plaudits at this resort right now - and rightly so - the Tom Doak-designed Streamsong Blue deserves every bit of high praise. 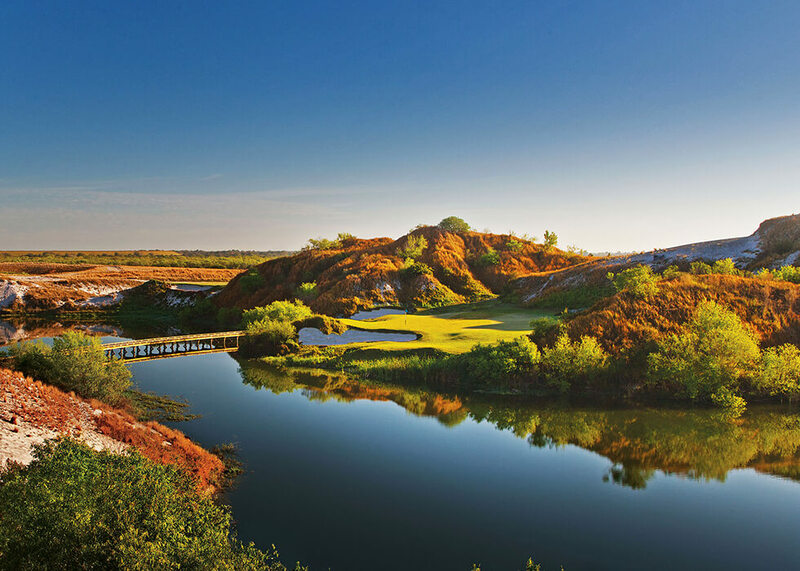 The Blue course, one of three mesmerising tracks at Streamsong Resort (which also comprises Ben Crenshaw's Red course), is a quintessential Doak design - a man who knows a thing or two about golf course design, with four of his masterpieces placed in the world's top 100. An interesting fact we heard before hitting the dunes with our new-found American friends Lou and Bill from Pittsburgh, was that Doak picked up a blue pen when designing his initial sketches of the Blue course, while Crenshaw used a red pen for his. It made sense. You can probably guess what colour pen Hanse chose. 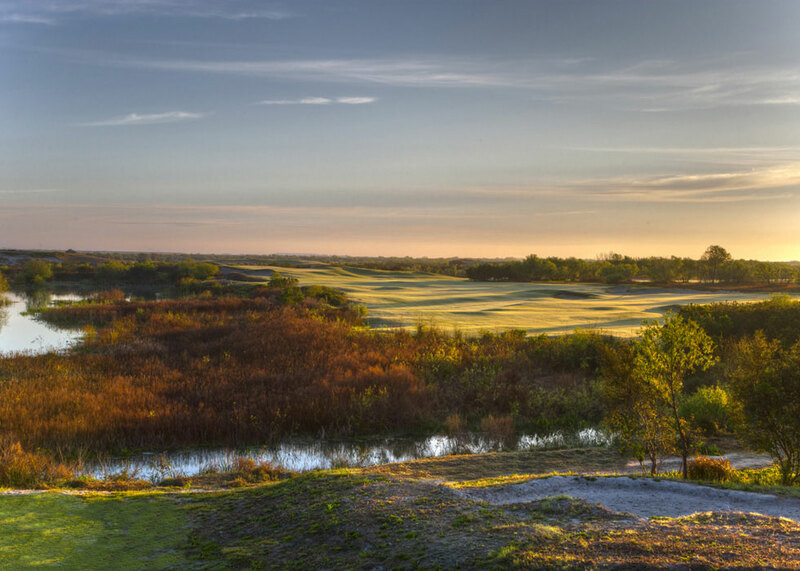 Created by Renaissance Golf Design's renowned architect Doak, Streamsong Blue offers a number of multiple elevation changes that place a premium on pin-point distance control. With a pretty strong wind blowing out there, at times up to 25mph, you could be hitting a pitching wedge or a 5-iron when faced with a shot of 180 yards. I wondered why everyone out there had caddies! The Blue course winds around the inside and more dramatic piece of the property, with the Red routed around the outsides of the Blue. The sloping sandy property allowed Doak to create dramatic vistas and thrilling shots up and down these ledges. 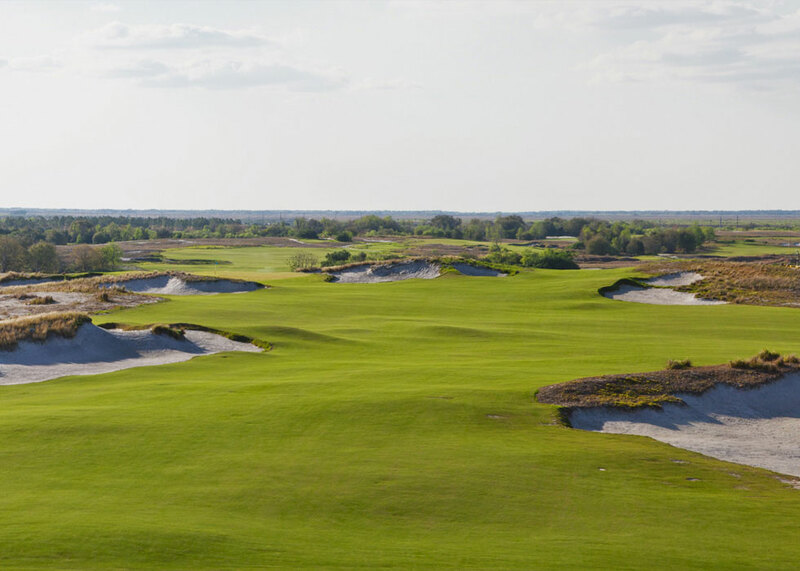 While the fairways are gigantic in places, they navigate their way through wild grasses, deep-water ponds and huge bunkers that roll off towering sand dunes. I'll be honest and say I think I spent more time in the sand than the Hoff during my five hours out there! You can also be certain of an uneven lie in the fairway. Sometimes the ball will be miles above your feet, and other times it will be below. There is a premium on good ball striking on this course. It tests every facet of your game. This is such a good piece of land for golf. The variety of contours created by the mining process is unique for a project in Florida, or anywhere in the Southeast. Without question, the standout hole on the course is the signature par-3 7th, measuring just shy of 190 yards. Downhill but playing into the wind, over a spectacular setting of the giant lake, shrubs, bunkers and beautiful backdrop, it quite frankly ranks as one of our favourite holes of all-time. Okay, it does help when you hit it to within 10 feet! While the dramatic dunes are one of the main defences here, the greens are on a major standard, playing to around 12 on the stimp. That's fast, and not a million miles off Augusta National level. So much so, I had two birdie putts of 10 feet on the opening two holes, and was putting for par on both occasions from outside of 10 feet! Yes, I should have spent longer on the practice putting green, I know. Doak has quite possibly buried a couple of elephants under the greens, too. There are some severe undulations out there on these giant greens. If you can avoid a three-putt around here, you are quite frankly a better putter than Jordan Spieth in our eyes. Now we get to use these dramatic changes as the centerpiece to our golf holes. All together, they combine to offer some of the most stimulating holes in golf. We honestly could not disagree with that statement. The Blue was an absolute treat to play, and goes straight in the GolfMagic book as one of our favourites in the United States, especially in Florida. We were also treated to some fantastic hospitality during our stay, basing ourselves in one of the suites at Streamsong Resort that overlooked the giant lake guarding the property. Friendly staff, fantastic spa facilities and good food made for a fantastic couple of days before jetting back home to sunny England having spent the week at the 2018 PGA Merchandise Show in Orlando. 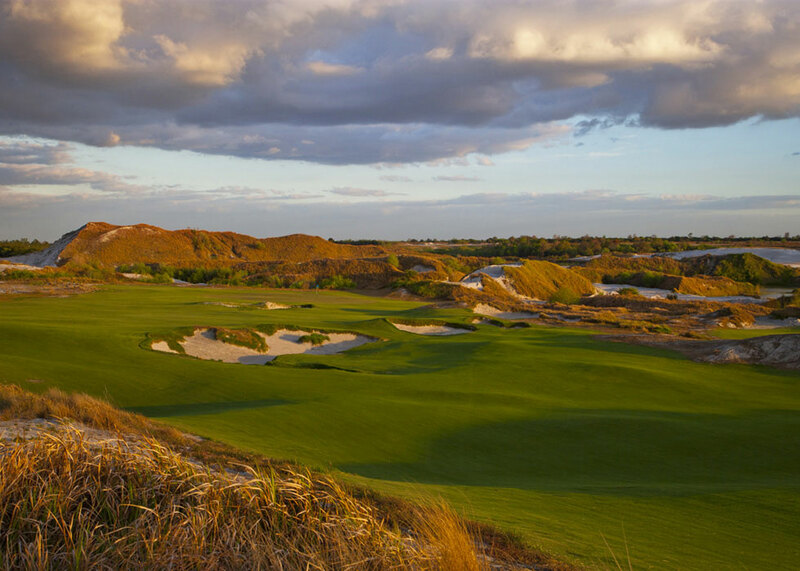 Believe the hype when it comes to Streasmong Golf Resort, in particular Streamsong Blue. This place does not disappoint. 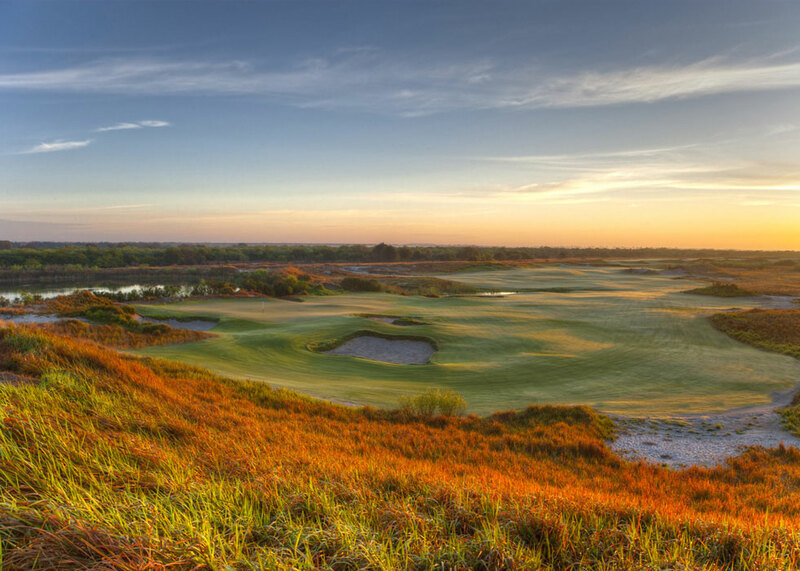 For more information about Streamsong Resort, click here.